The media in India is considered by many commentators as one of the most open and free in the world. I wish it were true. The two main channels of media - electronic and print - are riddled with paid news and are driven by their vested interests. Take the case of NDTV. Any serious observer of the Indian media space would swear by the fact that NDTV is shamelessly pro-Congress. Prannoy James Roy (above) and his bouquet of channels lack any ethics and are neck deep in peddling lies about anyone who dares to oppose the Sonia Maino-led Congress. 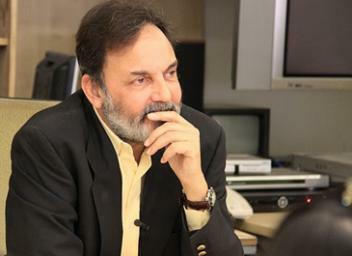 During 1997 and 1998, the names of NDTV and its founder Prannoy Roy appear in newspapers and magazines in relation to a major corruption case in Doordarshan. I was surprised to learn of the existence of a CBI case against Prannoy Roy. I wanted to dig up more on this story. I went through all 16 pages returned by Google for “prannoy roy cbi dd” and found many interesting links. I’m putting the links here quoting revelant portions of the articles. One must be cautious before drawing conclusions from these articles as they were written more than a decade ago. But one conclusion that people may safely draw is that during the early 90s, NDTV and its founder and Executive Chairperson Prannoy Roy were allegedly involved in corrupt dealings reportedly causing a loss of atleast Rs. 3.52 crore to Doordarshan, allegedly bribed an official in the Government of India, and in January 1998 cases were filed against Roy and others by the Central Bureau of Investigation (CBI) under Section 120-B of the Indian Penal Code (IPC) for criminal conspiracy and under the Prevention of Corruption Act. NDTV, through its foreign subsidiaries, is suspected to be indulging in gross violations of Indian tax and corporate laws. NDTV Network Plc, UK was set up in November 2006. Its balance sheets were not filed in India. This company has raised and invested huge sums of money in its subsidiaries, NDTV Imagine (now sold), NDTV Lifestyle, NDTV Labs, NDTV Convergence and NGEN Media Services. The main activity of the company seems to be that of buying shares, as detailed later. Even now, most of the deals being struck by NDTV are being transacted through this UK subsidiary, with no money seemingly coming to India by way of tax. Here's how NDTV indulges in financial chicanery and is looting the wealth of shareholders. Read this second complete article here. NDTV Limited and associate companies in which Prannoy Roy and Radhika Roy have a majority stake have indulged in financial misdemeanours and malpractices in connivance with ICICI Bank, and raised funds by misdeclaration of the value of shares in NDTV. These shares were held by a company called RRPR Holding Private Limited. I used to wonder as what could be the possible reasons behind NDTV's staunch support for the INC, to the extent that it has become the voice of the Congress party. Today I know why; the Congress party has Prannoy Roy by his balls because of these corruption allegations. Become our voice and pander to our agenda, says the INC to NDTV. Roy and NDTV are just being 'His Master's Voice', i.e. Sonia Maino's voice. It is twist of irony that NDTV's tag-line reads: 'Experience Truth. First.' Yes, the lies and prejudices peddled as truth.